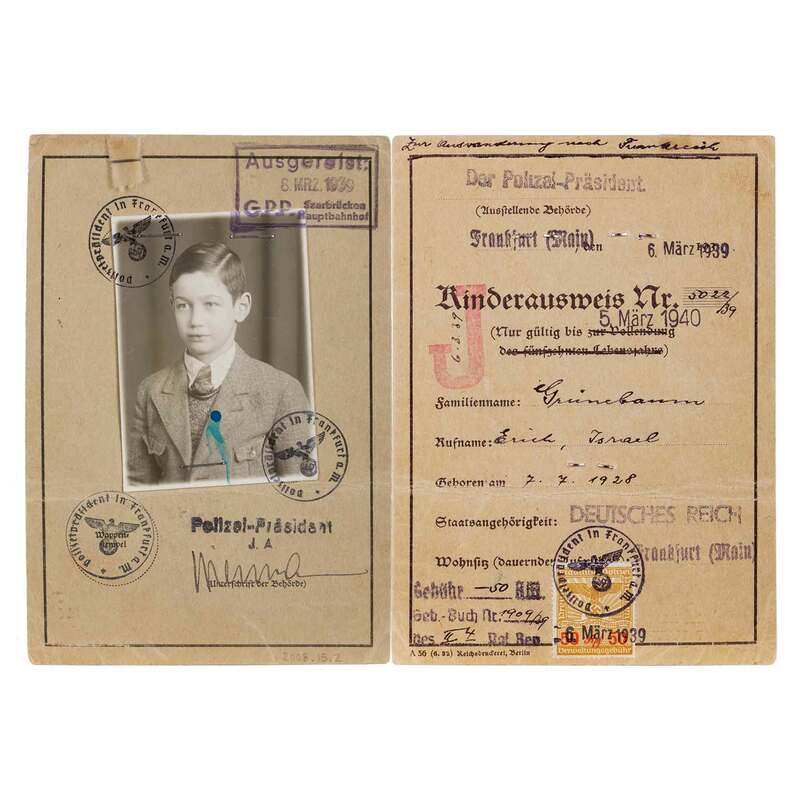 Child identity card issued to Erich Grunebaum (later Eric Greene) by the German government for the purpose of emigrating to France on a children's transport. In the years leading up to and through World War II efforts were made to rescue Jewish children from Germany and Nazi-occupied countries. Relief organizations from France, England, and the United States transported children away from Nazi persecution and took responsibility for their care. Erich Grunebaum was born in 1928 in the German town of Hellstein. 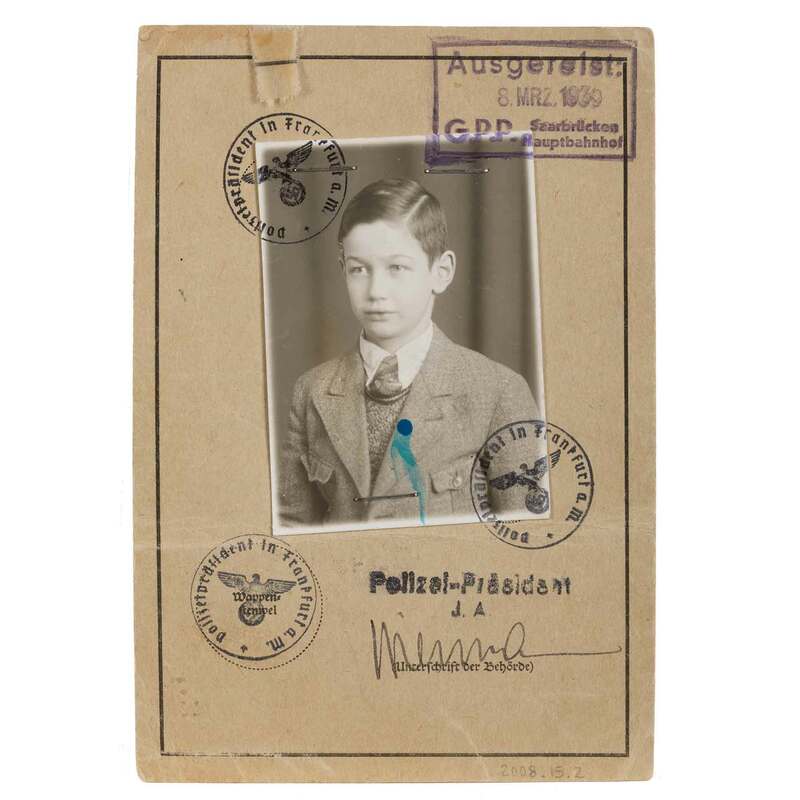 In 1939, following the terror and destruction of Kristallnacht, Erich’s parents sent him on a children’s transport to France to ensure his safety. 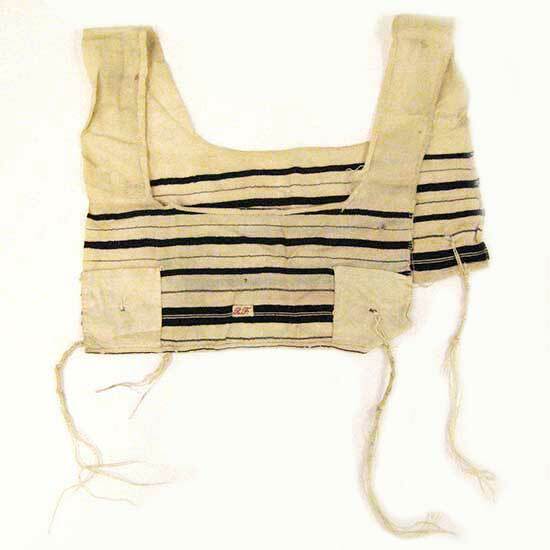 There, he was cared for by Oeuvre de Secours aux Enfants (OSE) and lived in several Jewish orphanages run by the organization. 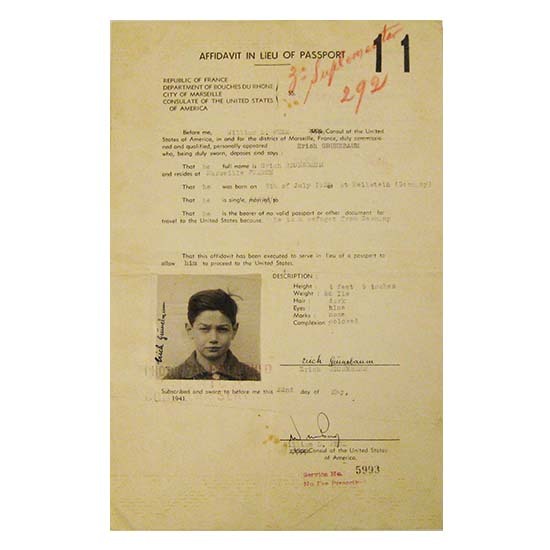 When France surrender to the Nazis he was sent to the United States and became one of the approximately 1,000 unaccompanied Jewish refugee children who found safe haven in America. After the war, while living with a foster family in Chicago, Erich learned that his parents and sister had been killed at Auschwitz. His autobiography, titled The Lonliest Boy in the World, is available through the Spertus Archives and his recorded testimony is available through the Shoah Foundation. This document was issued by the Consulate of the United States in Marseille for purpose of travel to the USA. 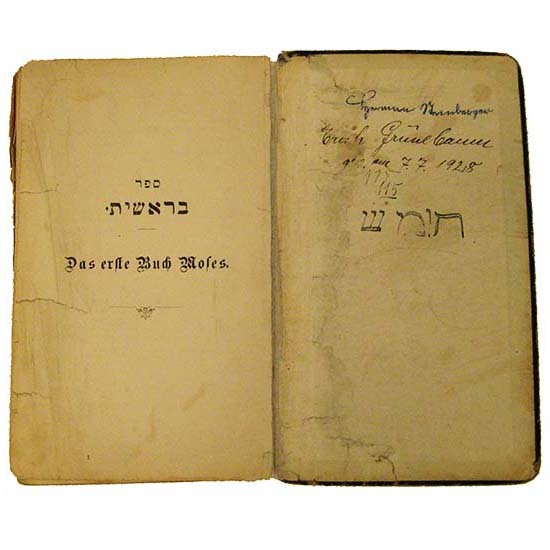 This family Bible in Hebrew with German translation was given to Erich by his parents upon leaving Germany. 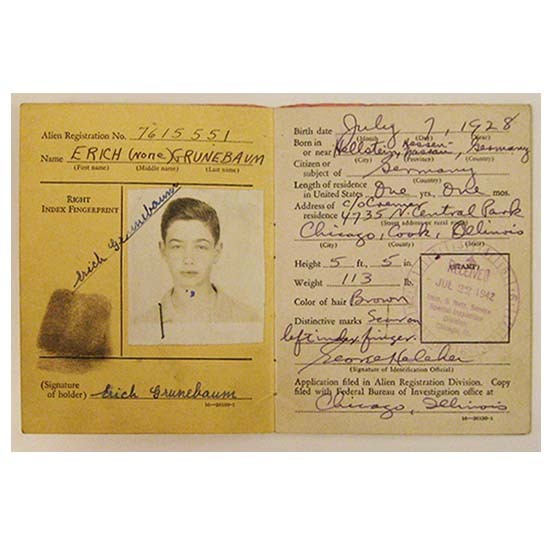 Erich's name was inscribed by his father on inside cover. 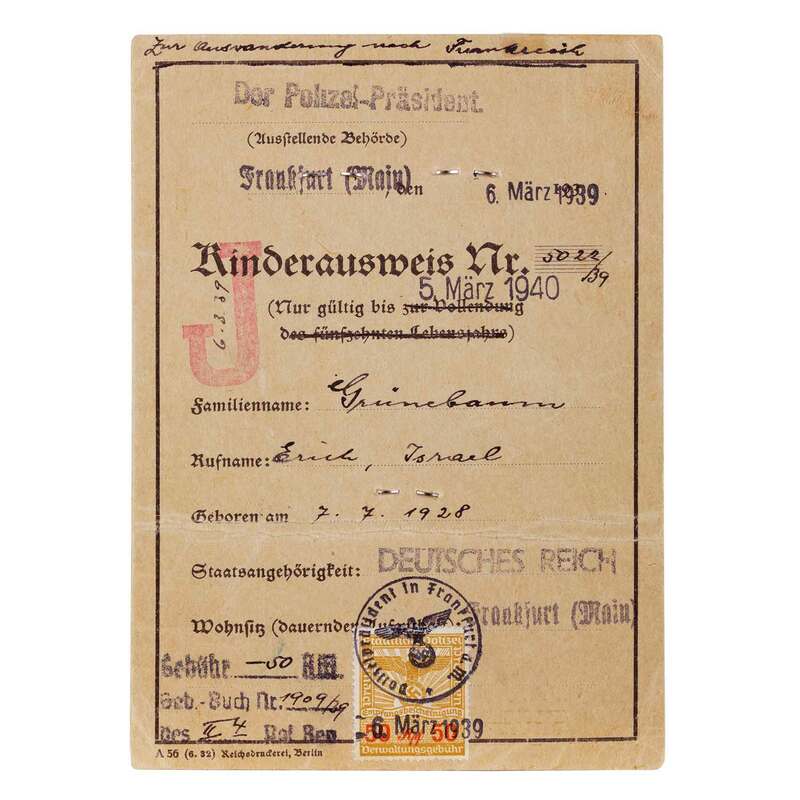 The Bible was originally owned by Erich's maternal grandfather Hermann Steinberger whose signature also appears. 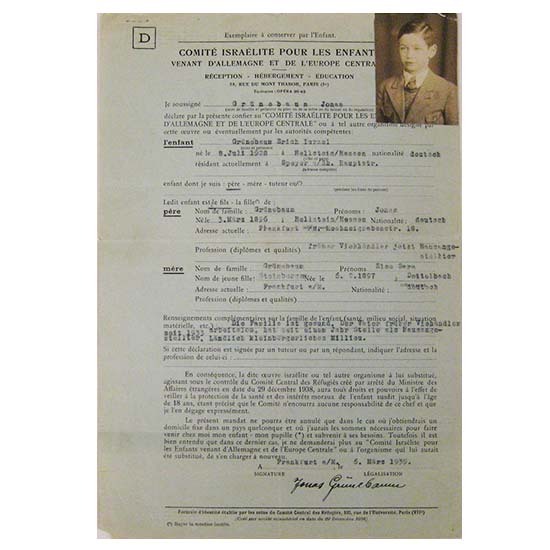 Document conferring power of attorney for legal guardianship of Erich Grünebaum from his father Jonas Grünebaum to Comité Israélite Pour les Enfants. Dimensions: 5 13/16 x 4 1/8 in.